Calorie shifting diet is a relatively new diet plan based on an interesting concept of shocking the metabolism to burn fat. Like other quick weight loss plans such as the hcg 500 calorie diet plan, this diet claims to reduce 9lbs every 11 days. Calorie shifting diet plan such as Fat Loss 4 Idiots emphasize on eating lean meats, vegetables and fruits. The sources of fat are whole foods such as eggs and cottage cheese. You are required to have four meals through out the day. There is no need for calorie counting and you can eat until you are full. Once every 11 days, you can have a cheat day. This diet also requires you to perform moderate exercise such as brisk walking several times a week. You are also advised to drink plenty of water. Calorie shifting diet has mixed reviews from customers. Many people report loosing weight while others don’t find the diet useful. 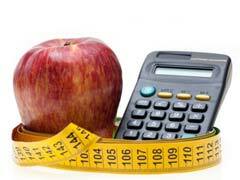 Many experts, however, have a problem with the diet because of its drastic weight loss claims. There is also no clinical evidence that exists that links calorie shifting diet to increased metabolism or weight loss. The weight loss on the diet can be due to the dieting itself. Experts also advice against following quick weight loss diets that claim to make you lose weight fast, which can be unsafe. This diet does have positives such as requirement for including whole organic foods and exercising. It is also a budget diet. However, the lack of reliability and scientific data, make many people skeptical about the safety of the diet. If you want to keep your metabolism from dropping, you should consider following diets that are safer alternatives to calorie shifting diet plan such as a 1400 calorie diet. If you need 2000 calories for staying at the same weight, a 1400-1500 calorie diet produces a calorie deficit that can produce steady weight loss. If you are an active individual, you can eat more calories and still lose weight at a good rate. Similarly, a 1200 calorie diet plan for women can be a healthy fit for steady weight loss for most women.